Red Bull sponsors some wild events. Riders hurl their bikes down insane mountainsides, pilots near rip the wings off planes through tight courses over famous harbours, and it’s odds on that anyone doing something insanely spectacular – like parachuting from inner space back to Earth – will have the energy-drink logo on them somewhere. So when the Austrian company wacks its brand on a relay race, you can bet it’ll be something a bit special. 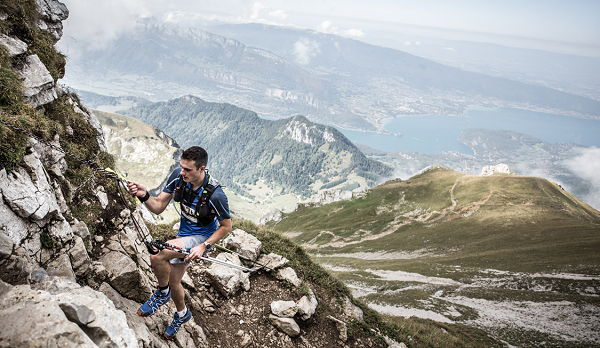 The Red Bull Elements relay is a race where teams of four, predictably, do their best to be fastest along a course. In the Elements relay though, the four competitors are each top guns in different sports: swimming, trail running, paragliding and mountain biking. To get Red Bull’s interest each discipline tackles a fairly sick section with ‘extended distance, sweat, and lots of adrenaline’. That’s how Red Bull describes it on its website. Things can get fairly poo-scary on a mountain bike, but paragliding to extremes? 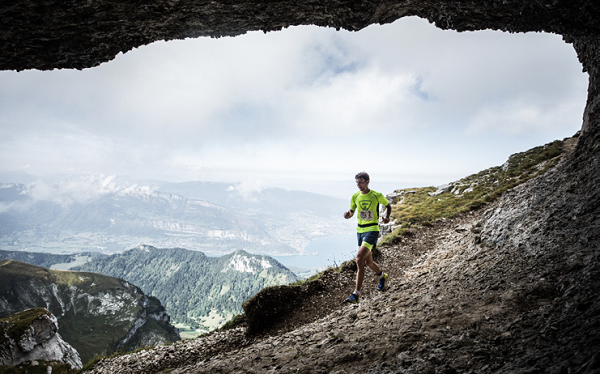 For its eighth running the event headed to Talloires, a mountain commune in France’s east. 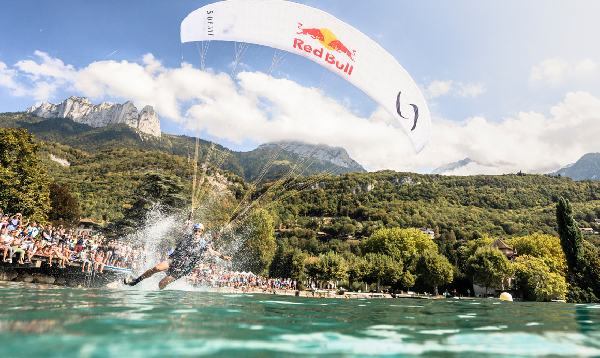 In September the beach at Talloires, on the shores of Lake Annecy, rang with the grunts and hoots of athletes at the very edge of exhaustion as the relay unfolded. The course covered ground from the lake itself to the top of La Tournette, the 1500- metre mountain which overlooked the fairly spectacular body of water. When the gun went off people started swimming, pedalling, leaping off things and running like snow blind mountain goats in the hope of pulling off a win and taking home…something. We’re not actually sure of the winners’ prize. A carton or two of energy drink was likely, and probably a trophy. Anyway, they all went like maniacs and all the spectators were as impressed as le buggieri – as our French chums might say. Anyone who could complete any part of the course was a total legend as far as we’re concerned, but for the record, the first team home was Les Bulls Gazelles, in a combined time of 4:25:05. Aaron Durogati was the paraglider pilot, and the fastest to complete the paraglider section, which involved flying down from the summit of Le Tournette to the alpine pastures of Chalet de l’Aulp, climbing to a new launch site to fly to Perroix, then running back up the hill to Planfait to take-off and land at Talloires beach. 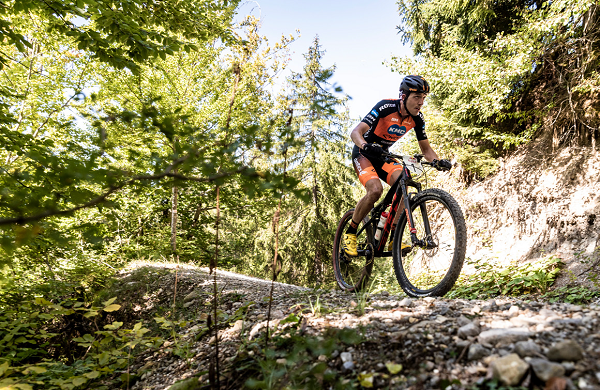 Fellow Red Bull X-Alps competitor Stanislav Mayer was second-fastest, five minutes behind Aaron. Stanislav’s team, Cez Group, was second. Mountain biker: pedal 21km with 1500m ascent and descent.